Awareness of diabetes has risen in recent years, as well as awareness of what can cause the disease. Most people now know that the risk of type 2 diabetes can be increased by being overweight. But people still continue to take the risk of developing type 2 diabetes by being overweight and not taking any exercise. This can be remedied fairly easily for most people, by starting a programme of exercise, although doctor’s advice should be sought first. 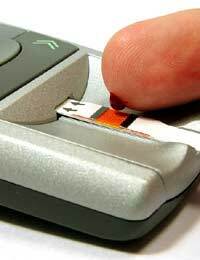 The other factor to be aware of when considering the risk of type 2 diabetes is that although there are lifestyle changes you can make to lower your risk of the illness, there is also another form of the disease, known as type 1 diabetes or juvenile diabetes which is nothing to do with lifestyle and cannot be prevented. This illness develops when the insulin-producing cells in the pancreas shut down. It is not known why or how this happens and research is on-going to try and ascertain the reasons behind it. Being overweight is one of the biggest indicators that you may be at risk from type 2 diabetes though. Not all overweight people have diabetes, or will go on to develop it, and not everyone who has type 2 diabetes are overweight but the risk of developing the disease is a good reason to lose weight if you are overweight. Statistics do prove that over 80 per cent of people who develop type 2 diabetes are overweight. The more overweight you are, the greater the risk. As well as weight, inactivity is also a risk – so even if you are classed as a normal weight, you could still raise your risk of developing type 2 diabetes if you do not do any exercise and are unfit. If you are unsure as to whether you are classed as overweight or not, you should find out your body mass index (BMI) which takes account of height and weight. A BMI of more than 25 is usually an indicator that a person is overweight although this can change if a person is, for example, a sportsperson who has a lot of muscle. There are other risk factors for developing type 2 diabetes as well. If you are overweight and also tick the boxes for one or more of the other factors, you should be aware that your risk level is very high. If you are over 40 and white, or over 25 and black or Asian, and have more than one of the risk factors, a doctor should test you for diabetes as you are high risk. Apart from weight, these risk factors include a parent or sibling having the illness, you have high blood pressure or have had a heart attack or stroke, you have polycystic ovary syndrome or impaired glucose tolerance, or you have severe mental health problems. Being at risk of developing type 2 diabetes is not something to be taken lightly. If you are worried then you should ask your GP for a test as soon as possible. Whether or not you have type 2 diabetes, lifestyle changes may well be needed to combat the illness or the risk of developing it. And if you do have it, then treatment is essential to keep it under control and prevent further problems.